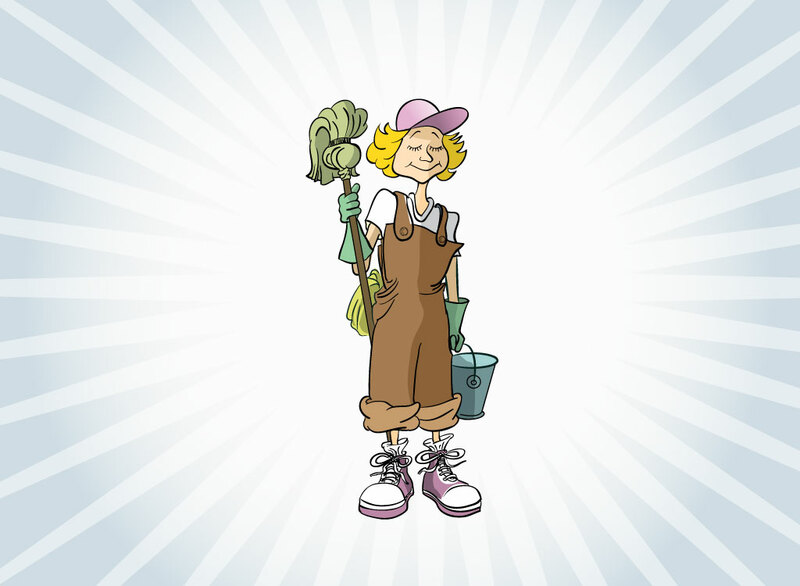 Free vector download featuring a hand drawn cartoon of a cleaning woman holding a mop and bucket. She wears overalls, rubber gloves and a hat as she's ready to do some dirty work getting things clean. The attention to detail, line work and great color work make this a must have stock cartoon. Tags: Cartoon, Character, Clean, Dirty, Gloves, Housekeeping, Housework, Maid.